Five races over the next eight weekends will represent a fairly manic end to another gruelling Formula 1 campaign. It appears that the growing pressure might be getting to some, with Lewis Hamilton causing uproar with his Snapchat-enabled device in the Japanese GP press conference. Whether that is a sign of him feeling the stress or the media struggling their own level of fatigue is anyone’s guess! Opportunity knocks? – Max Verstappen (£8m) – It has been a rock n’ roll season for the young Dutch prodigy as he benefited from an early, unforeseen move to the senior set-up with Red Bull. Unsurprisingly, Verstappen’s on-track performances, where he has competed admirably with his established Australian team-mate, has been surpassed only by his fantasy offering. Verstappen’s 243 points (including his four races with Toro Rosso) put him sixth in the standings, only 32 away from Sebastian Vettel’s total of 277, at price tag of a massive £10m less. His artificially low price has also benefited those that have him in their fantasy line-up, with his value per million spent of 30.38 points making him the eight most valuable driver option. I wouldn’t think that you’d be alone in having him in your ranks though so as a catch-up selection he may not be the strongest option. Small gains? – McLaren (£8m) – 2016 has been far from a fantastic season for the British outfit and their two title-winning drivers, with reliability issues and a lack of race performance again meaning that they aren’t competing at the front of the grid. 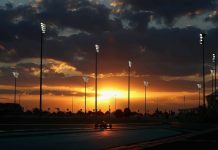 However, there has been improvements over the last campaign and a haul of 62 points puts them in the middle of the manufacturer standings, comfortably ahead of Toro Rosso and the débutante Haas team. Unfortunately, their £8m price tag puts them in a difficult position and reduces their value per million to 7.75, trailing the American Haas outfit by 1.58 and leaving £5m to invest elsewhere. Being realistic, it may be 2017 before you may wish to re-visit McLaren again for your own fantasy line-up. Other Tips – Hamilton came from behind in Suzuka last year to beat Rosberg and he goes into this year’s race knowing he may need to win the last five races in order to guarantee the title for the fourth time in his career. Rosberg may benefit from knowing second place will be no disaster but will also be wary of lady luck changing focus and suffering his own reliability issues. Red Bull will be confident of extending their lead over Ferrari and will certainly hope to do better than their 13th and 15th places achieved in 2015. Weather is expected to be unpredictable in Japan, with rain a potential factor across the race weekend and could affect both qualifying and race-day. A bold podium line-up may benefit some if the bad weather does arrive in a track that Mercedes are again anticipated to dominate. 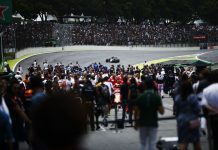 Vettel’s early tangle with Rosberg illustrated that predicting the first retirement can be a complete lottery, but the pressure at the front of the grid may result in someone making an early mistake. Safety cars have appeared six times in the last ten races, with two being held in Fuji and away from the Sukuza circuit, so the most likely prediction would be either one or two occurrences, especially with the modern virtual system a more than viable option, despite Sainz’s criticism of its benefits this week.